Increases boost by modifying the charge pressure and map sensor readings. Readings in the vacuum region are stock. Retains stock ECU programming. Easy Installation. 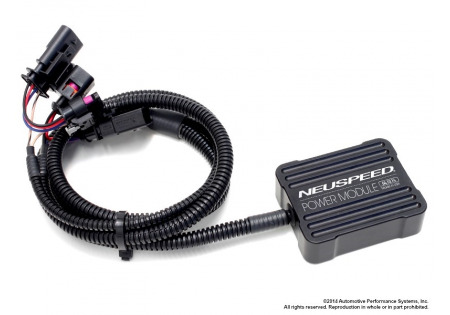 Neuspeed Power Module is a device which easily allows most able person to upgrade the performance of their VAG 1.8 TSI and 2.0 TSI (Gen 2.5 or Gen3 engine) without reducing the reliability or integrity of the engine, clutch and driveline. This is the simplest and best alternative or option to chip tuning. 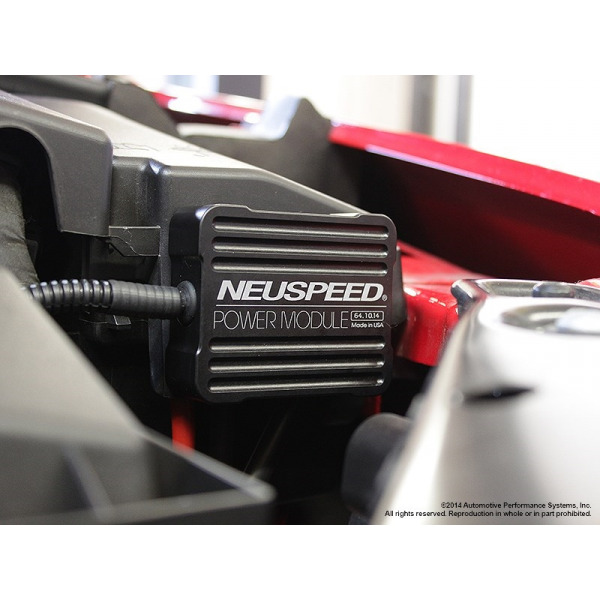 The Neuspeed Power Module is an all new design, not some rebranded 3rd party product. 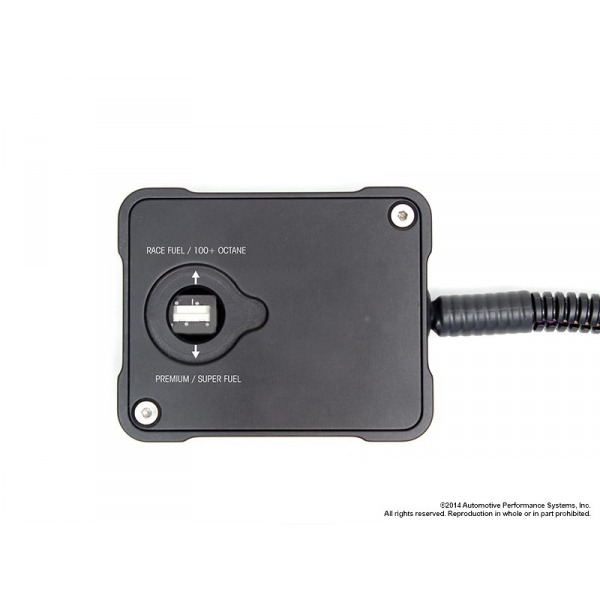 It is a plug and play box that intercepts at the MAP and Boost sensors and can be installed or removed within minutes without any detection. There is a convenient two position switch for 91+ premium fuel and 100+ octane race fuel for maximum HP output. 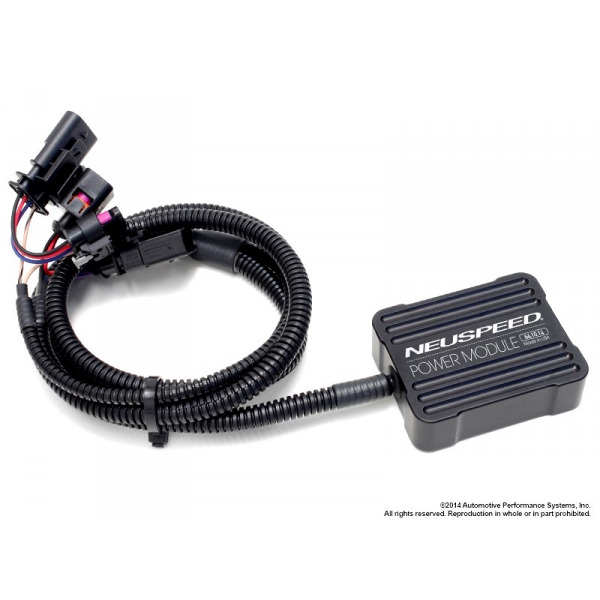 The electrical components are housed in a billet aluminum enclosure which is protected from the elements and is designed and manufactured to be positioned within the engine bay of your vehicle. The wire harness is manufactured using automotive quality wiring which is both oil and heat resistant, and has the same OE water proof connectors as used on your engine.